Click here for a list of electronic resources organized by name. 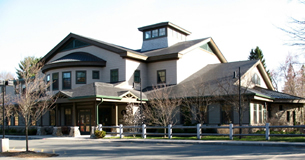 Electronic resources with a star at the end* have been purchased by the Hamilton-Wenham Public Library. Some must be used within the library itself, via a library computer or a wi-fi equipped personal device (phone, tablet, etc.) Others may require you to enter your Hamilton-Wenham Public Library library card number, located on the back of your card. All other electronic resources are funded by the Merrimack Valley Library Consortium (MVLC), the Massachusetts Board of Library Commissioners, and the Massachusetts Library System. If you have any questions regarding these resources, please call the library at 978-468-5577, ext. 19. Also, if you are a Massachusetts resident, please see the bottom of this page for information about getting a Boston Public Library eCard to access additional electronic resources through the Boston Public Library. Online access in the library, and Remote access. Remote access will require your Hamilton-Wenham library card number. Choose year, make, and model to get the specific information you need for auto maintenance and repair. Remote access will require your Hamilton-Wenham library card number. The online version of the magazine. Read book reviews, look at award lists, create your own profile to get recommendations. Start your research immediately with nearly 800 nonfiction eBooks across a wide range of topics in Arts, Biography, Business, Education, the Environment, General Reference, History, Law, and much much more. Use your preferred email address, Hamilton-Wenham Public Library card and library PIN number or password to create an account, then sign in any time using your email address and password. Hoopla is a digital media service that allows you to borrow movies, music, audiobooks, ebooks, comics and TV shows to enjoy on your computer or device of choice. You can borrow up to four items per month. Online access in the library, and Remote access. Enjoy downloadable eBooks, Audio Books, and Streaming Video. Download or stream across multiple devices. Funded by the Merrimack Valley Library Consortium. Remote access will require your Hamilton-Wenham library card number and the PIN or password that you use to log into your library account. Safari Books Online is an on-demand, digital library that provides access to thousands of technology books by major IT (information technology) publishers, with coverage for the current and past two full calendar years. Only one user can access Morningstar at a time. Please click the “End Session” button at the upper right corner of the web site when you are done. You will be automatically logged out after 15 minutes of inactivity. Morningstar supplies data and analysis on over 41,000 investments, along with analyst reports and ratings, market coverage and industry reports, and articles and videos on investing and personal finance. You may be interested in Investing for the Long Run, available as a PDF or in print form. An online resume builder for creating professional-quality resumes. Create a resume or reference sheet on the fly, OR, create an account to be able to save and return to resumes and references. Includes the Encyclopedia Britannica, Dictionaries, Thesauruses, Atlases, World Data, Timelines, Notable Quotations, and more. JSTOR journal content published before 1923 in the United States and before 1870 elsewhere is freely available to all. Early Journal Content spans the arts and humanities, economics and politics, and mathematics and other sciences. It represents 6% of the content on JSTOR. Available from JSTOR via the Internet Archive. A guide and locator of collections residing in Massachusetts libraries, archives, historical societies and town clerk’s offices. Funded by the Massachusetts Board of Library Commissioners. Remote access. Use your preferred email address and your Hamilton-Wenham Public Library card number to create an account, then sign in any time in the Returning Users field with your email and the password that you created when you made your account. A language learning program that offers audio lessons, memory and matching games, books and quizzes in eleven different languages: Arabic, Chinese, French, German, Hindi, Inglés (English for Spanish-speakers), Italian, Japanese, Korean, Sign Language, and Spanish. This site provides testing study and preparation aids across a range of high school, college, career, and grad school exams. You will need to register with the site to see your test scores and progress. Remote access. Create an account by using your Hamilton-Wenham library card number and email address. Hamilton-Wenham patrons can register for online classes taught by dedicated instructors, at no charge, through our subscription to UniversalClass™. Classes cover a wide range! Browse the sidebar for specific classes under any given area of study. Log in using your Hamilton-Wenham library card number and the PIN or password that you use to log into your library account. Our library subscription to Freegal will grant you up to five downloads per week, and three hours of streaming per day. For additional questions, click here. Online access in the library. This link will only work on our public library computers or via our library’s wireless internet. The New England Historic Genealogical Society’s new web site reflects its expanding national collection and resources. This collection of resources features over 110 million names, gleaned from church records, newspapers and periodicals, city and town directories, court records, census, tax, and voter lists, diaries and journals, land records, military records, published genealogies and biographies and more. Includes the U.S. Census, U.S. Data Collection, UK & Ireland Collection, and Immigration Collection. Includes the U.S. Census, Periodical Source Index (PERSI), Revolutionary War Pension Records, Freedman’s Bank Records. Includes country overviews, detailed maps, travel information, financial information, security, and much more. This comprehensive Political, Economic & Business Handbook profiles every nation and self-governing territory around the world. See at-a-glance physical characteristics of towns and cities throughout Massachusetts, or open the profiles for individual towns, cities, and counties for detailed information about their weather, population, and more. Indexed coverage for the Globe from 1980 to the present, available to you at no charge. Access online versions of popular magazines using this digital magazine newsstand, with current subscriptions to Consumer Reports, HGTV, Money, and Time. You can also use the Flipster app on your mobile device by downloading the app from your device’s app store, selecting “HAMILTON-WENHAM PUBLIC LIBRARY” as your library, and entering your library card number. In Library Use will require you to register (or click “Log in” if you already have an account) while at a library computer or using a laptop or personal device within the library. For Remote Access, click the link above and redeem the code given, then register or log in. Access both contemporary and archival articles from the New York Times, by browsing the daily home page or using the search function for targeted searching. Older articles can be viewed in the “TimesMachine” to be seen in their original context; or, download a high-resolution PDF of the individual article. Merrimack Valley Library Consortium website provides access to the online library catalog, MVLC member library websites, and other MVLC member library services. This digital counterpart of our seventeen-volume print encyclopedia provides detailed information about families and species across the animal kingdom. PowerSearch makes it possible to search multiple Gale periodical collections at once. For a more targeted starting point, visit one of the individual collections listed below, or click here for a visual table of the collections. Do you live or work in Massachusetts? Are you 13 or older? Get a Boston Public Library (BPL) eCard and access the BPL’s wide variety of electronic holdings. If you have a regular physical library card with the BPL and you know the card number and PIN/password, you already have access to these resources. Otherwise, click here and “Get or Renew Your eCard” today. Supply a valid email address when you register. The BPL will email you the number for your new eCard. Be sure to write down the number! Your eCard will give you access to downloadable ebooks and multimedia, research databases, digital magazines through Zinio, streaming media through Hoopla, and more. You can upgrade your eCard to a regular physical BPL library card at any Boston Public Library or Metro Boston Library Network location. Be sure to bring your driver’s license or other form of ID when applying for a library card.